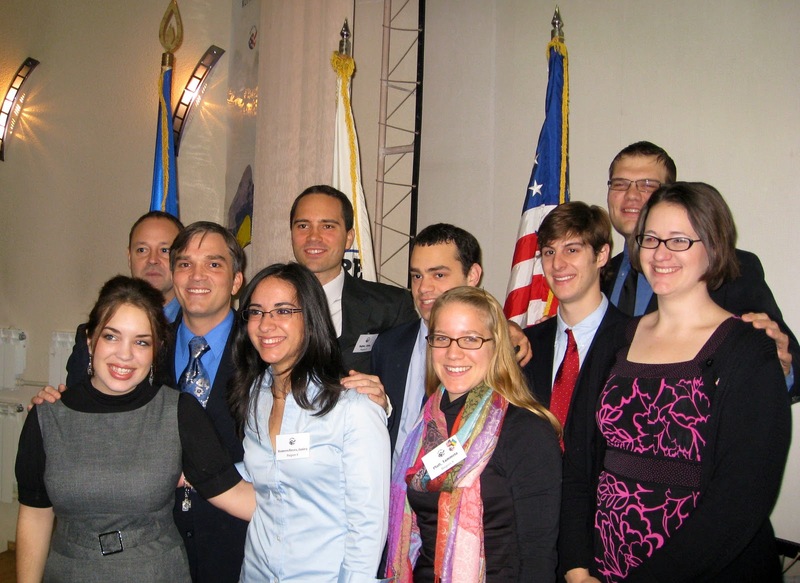 On 9 December 2010, 79 Peace Corps Trainees were sworn-in as Peace Corps Volunteers in Kyiv, Ukraine. I was lucky enough to be one of those 79. 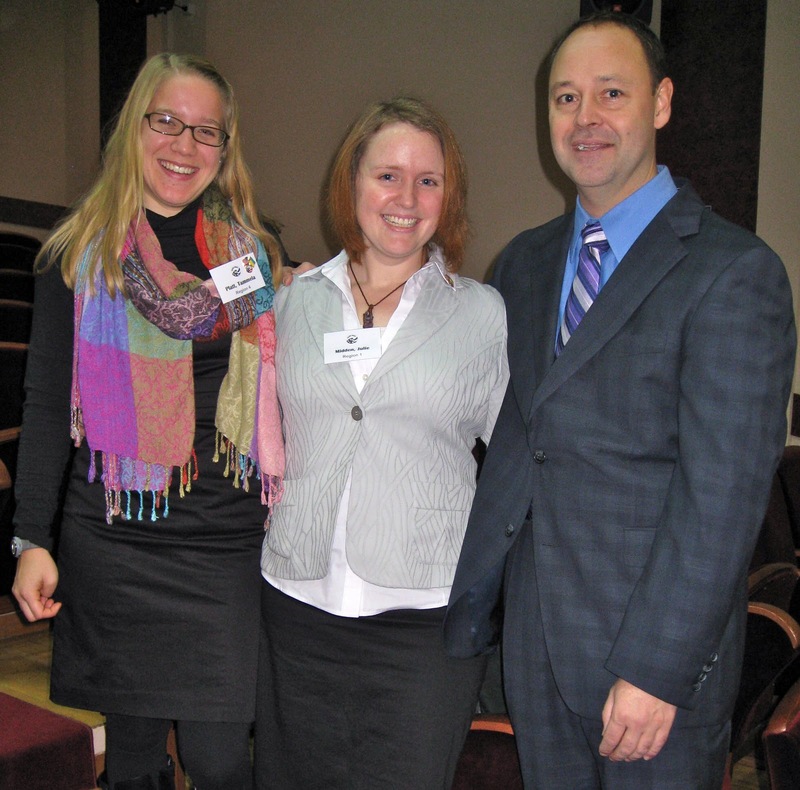 After Group 40 swears in this week, there will be over 400 Peace Corps Volunteers serving in Ukraine. So exciting! It’s hard to believe training is over and we are finally at our sites. It seems just recently that we were sitting in language class for four hours a day learning Ukrainian grammar. Though I will miss my cluster- and link-mates and other friends, I’m excited to officially start my service as a PC Volunteer. Janira (far L) and I with our counterparts! My counterpart is Galyna, the tiny blond in the middle. So where am I now, you may ask? I’ve ended up in the Ivano-Frankivska Oblast (an oblast is like a state) near the border of the Chernivets’ka Oblast in SW Ukraine. My town is a rayon (region) center of 15-20,000 people and I live in the center of town in a beautiful apartment. I’m the first PCV in my town. My counterpart, Galyna – the Ukrainian English teacher with whom I will primarily work – is 21 years old, recently married, and totally great. She and I are really enthusiastic about the next two years. The day I got to site I went to school and met the other English teachers – a range of ages and experiences, but all friendly, funny, and welcoming people. I’ll be observing classes for the next few weeks and will start teaching after the holidays. On Monday I was officially introduced and welcomed (in)to the school community – the English pupils of the 8th and 9th Forms gave presentations about Ukrainian places/traditions/food and their knowledge of the U.S. There were also some dance and song performances. 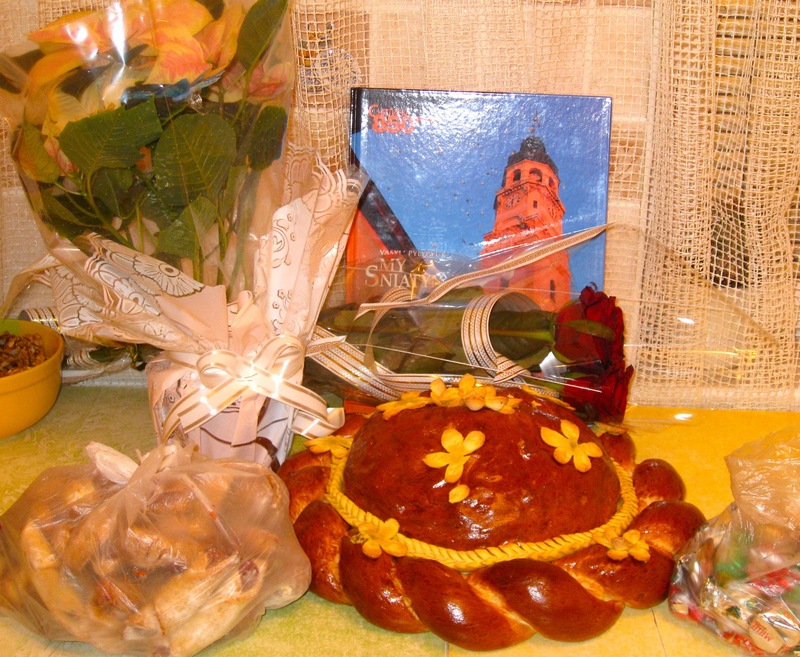 I was presented with flowers, a traditional/ceremonial Ukrainian loaf of bread (Каравай), and a book about my town! The director of the school said some words of welcome and I attempted to respond and introduce myself briefly in Ukrainian. The pupils’ English was very strong. Loot from presentation at school: book, flowers, Каравай bread, & of course leftover cookies & candy. After the hour-long presentation the English teachers, school director, and vice principals swept me off to what will be “my” classroom – for another hour of wine/tea/fruit/cookies/sandwiches/candy and Ukrainian conversation. The director speaks no English and is proud of her status as Ukrainian – as she should be – so I am hopeful that my Ukrainian will continue to improve if I talk to her a lot. They are all wonderful people and I feel so lucky to be in such a community for the next two years. 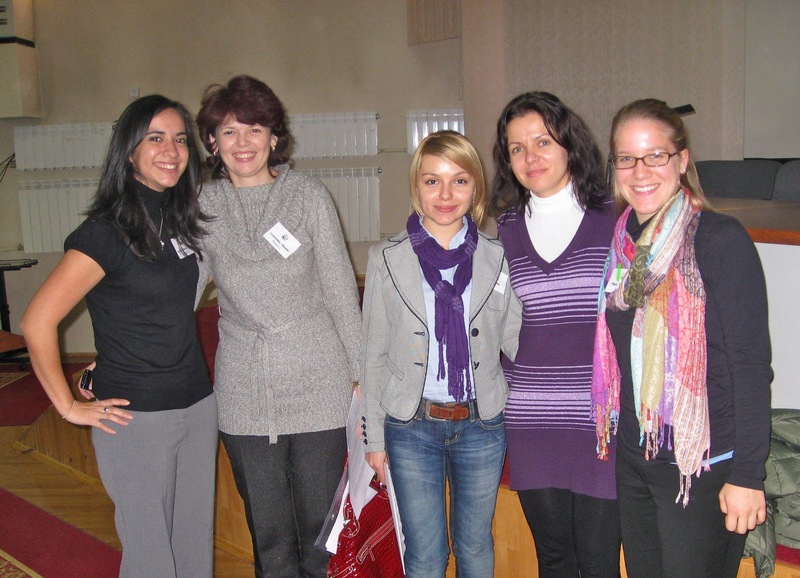 This entry was posted in education, Peace Corps, teaching on 15.12.2010 by taplatt.